Model 9800 Slider - Welcome to Interstate Window & Door Company! CompositWood is made from a proprietary mix of specialty polymer and acrylic resins, creating an “engineered composite”, super tough, solid core material. CompositWood, the next generation of windows, is a revolutionary material blended with timeless design that surpasses the ambitions of even the most well known window manufacturers. CompositWood is made from a proprietary mix of specialty polymer and acrylic resins, creating an “engineered composite”, super tough, solid core material. A permanent color surface technology called “SuperCap™” is fused to the core materials during the extrusion process. CompositWood is simply the best window you can buy. 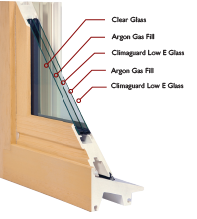 It provides the warmth of a finely milled wood window without the problems associated with wood. 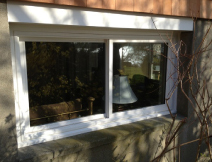 Metal and vinyl clad wood windows were only partial solutions. In the industry-wide pursuit of window excellence, CompositWood is the answer. Draftblocker™ off-set compression sash design for air-tight seal and added security. 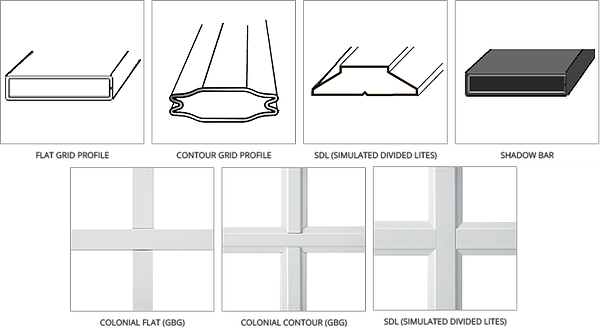 MAX Glass option provides a larger glass viewing area. Inside, select solid SuperCap® white or CompositWood’s real Eastern pine veneer that can be stained or painted to suit your needs. 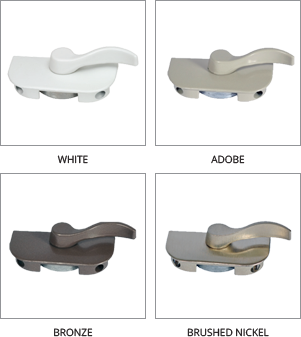 Outside, choose from SuperCap white (white interior); 14 in-stock factory painted colors; over 30 special order colors; and virtually unlimited custom matched colors (15-year paint warranty). Unlimited Color Match Exterior Colors. Custom blended colors available to suit your design needs – limited only by your imagination! 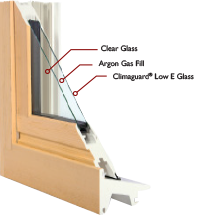 Triple Pane with Duralite™ Spacer and 1” insulated assembly with 2 panes of Climaguard Low E glass, Krypton gas and Argon gas. * Products that are recognized as the Most Efficient of ENERGY STAR in 2013 meet rigorous energy efficiency performance levels set by the U.S. Environmental Protection Agency. CompositWood has been awarded the ENERGY STAR Most Efficient mark for 2013.